I'm a family player-I've always loved creating families in sims, starting a family from scratch and watching as my family progress over multiple generations. I can play one family for years-and I loved seeing their progress from the original sim down to my current sim with a family tree. I love how different each family can be from another previous family-they all have different traits and it's so funny to watch the family dynamic in each family shift. I used to look at my family tree with pride-I would look back at all their photos with fond memories of the time I shared with those sims. I love toddlers-they have much more personality than babies and are the start of a beautiful relationship with their family-their siblings and parents are challenged by them but they are very rewarding. They have so much potential for fun and mischief! Babies in the sims 4 leave me cold-I really feel that making them be stuck to the bassinet is such a loss-with multitasking being the amazing new tool in the sims it seems ridiculous that they can't utilise that for new parents-the time when sims need the most help! At first I was hopeful they would finish this game and add the omissions from family play. But given the lack of announcements and the patches being anything other than family play related I worry. 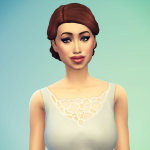 I felt like we really need to make it glaringly obvious to EA that family players exist given the lack of acknowledgement for our play style being thrown out-and that the omissions from sims4 can be game breaking for many of us. 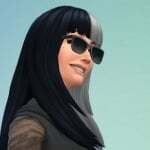 I shouldn't have to ask this but please be polite and respectful in this thread-I'm not here looking to threaten anyone else's play-I'm just trying to give a voice to those of us who feel like we are being ignored by EA and want sims 4 to be universally loved! I understand what you mean. And I agree. There is definetly somthing missing in the game when it comes to family play. Family trees are a big part of it, and for a lot of people - toddlers. But I think there´s more to it. We need a generations EP. Teens needs to be fleshed out, because at the moment there just isn´t anything to them. They don´t even look like teens, so there isn´t even a "teen-shell". We need family oriented traits, like nurturing. More family aspirations, and teen specific aspirations. I do think this is coming. I think the developers are well aware of the many, many legacy stories from previous installations. I have hope. The dead silence on their part is a bit worrisome. I miss my family game play very much. That's not to say I don't enjoy some of Sims 4 new features, but it came at a cost to my play style and I'm not happy. I'm glad for the recent updates for those that wanted those things, but as a long time player (Sims 1) and almost every EP since, I can't help but feel let down. EA could throw us a bone IF they were planning an EP or updates for us. Didn't they announce pools and ghost beforehand? About all I do in Sims 4 lately is build or stare at that lonely icon. If the first EP is anything other than family, toddlers, generational play I'm afraid I won't be buying it either. Which is probably the reason they won't tell us anything because they know many of us will walk away. Sigh! Thank you EA and thank you Maxis..we got our babies back, Yay! 1. I can't imagine how EA/Maxis could possibly not understand by now that there are people who want toddlers and generational play. Seriously. The requests have been met with a "we hear you", and have been deafening. 2. They have to be silent, until they're at the point of having something ready to release with a firm date. They've made that absolutely clear. "We hear you" is all they can say. They aren't going to suddenly persuade their lawyers that they can reveal stuff that's in development earlier than before just because fans started yet another topic asking for the same things, on yet another day. They could have half the dev team on generational play right now but they can't tell us. 3. That would be nice, though, if they did. It's just not going to happen, no matter how much EA/Maxis wants it to and no matter how many times we ask. Maybe instead we could post pics of cute toddler clothes we'd like to see. At least it would feel like it could be productive. Wishing for info won't be. I agree that family play is sadly lacking in this game. The Sims in this game are my favourite yet, and for the first time I've started doing challenges but find I get so far then it becomes blah! In the past toddlers were not very important in my play style, but this game I think because of it's style and the quirky emotions had the potential to have the best family gameplay and toddlers. I do believe we need family trees and all life stages in this game for it to feel complete. I agree with you. Sims is a life simulation sand the basis of any civilisation is the family unit. I really hope EAappreciate this fact and are addressing the lack of toddlers and "adult" teens. Building is my first love and I am already upset that there will be no open worlds or CASt. 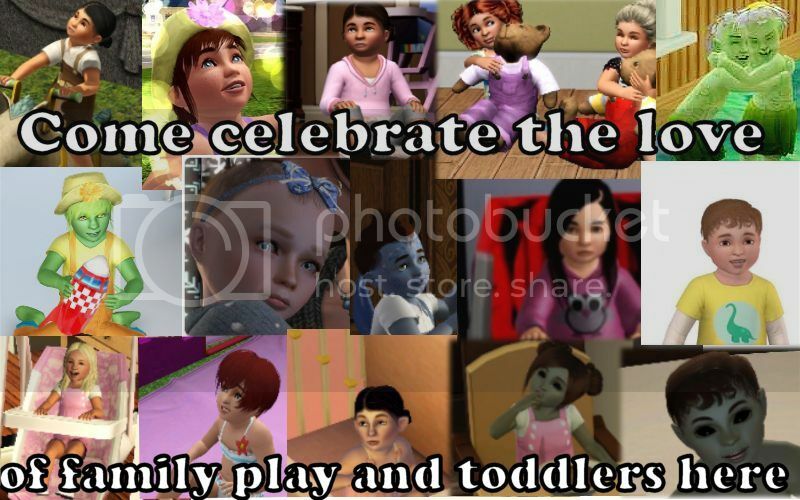 However I also love my families and some have been with me since TS 2. I m waiting to play these but without toddlers and family related activities I am not prepared to start now. Let's hope we have news soon. The continuing silence just shows how little EA value their existing fan base. I am the same type of player as you and tend to only play one family and it's many generations. I feel EA has stripped away some of the most important features relating to family game play. 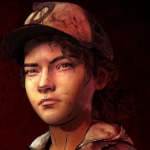 I hope they have not forgotten about us and hope that in the future (preferably some of it patched free) story progression, toddlers, family trees, portraits, cameras and video recorders where we can actually see them. My fingers are crossed for the first EP to be generations. It's defiantly needed. "We hear you." They said that before when the Sims 4 was in development. And seeing and playing the game, and what is missing (open world, CASt, vehicles, etc.) makes me think they were not listening, and I wonder if they truly are listening now. I know we all have our own ideas of what should be included in a base game, but it's 2014, many games now launch with basics such as weather. Why are we still not getting that? And the toddlers, teens who look like adults, and of course there's more. It just makes me sad. I really do feel let down by EA with the Sims. I don't think it's fair that we have to continue to shell out money for things that could easily be included in a base game that is $60. Even after it's launch and I watched Youtubers and their "Let's Plays", and I read over here on the forum, I was still on the fence, I wanted to play the game for myself. I finally got it last Sunday, and I'm already tired of playing it. I did not want that to happen. Right now I don't feel valued as a long time player - been playing since 2000 - and then ignoring us is like a slap in the face. Please, EA and Maxis, listen to us. Make this game awesome! We know you can do it! Take what was so great with the previous Sims and improve upon their greatness, that's the game we want! They are listening. Otherwise SimGuruRachel wouldn't have posted that excuse about leaving stuff out to focus on the foundation. They had originally stated that *all* life stages would be in the game, so they were working on them before. I understand the frustration of them being mum, but they always go mum during the development stage. I doubt EA could have ever made it this far as a company if they would miss something as obvious as there are a ton of simmers who want toddler-inclusive family-oriented play. I'm not so nervous about toddlers not returning. I'm more anxious about the baby stage that already exists. I hope that they update bassinet monsters to make them more like TS2 babies but improve upon them so that sims don't drop them on the floor every other second. Unfortunately, I don't think the babies will improve, so let's hope the toddlers will make up for the failed TS1 in 2014 baby life stage. the silence probably means they won't be adding anything and don't want to draw attention to it. See, I get that they can't talk about it or they will have to be killed. LOL But at little heads up would be nice. Let us know besides the "We hear you." Okay, you hear us. You've said it before. Their past actions have shown us that they have not heard us. 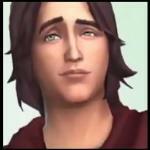 Look, don't get me wrong, I enjoy the Sims 3. The biggest selling point for me was the open world and CASt. I remember when they announced the game I literally was jumping out of my seat. I couldn't wait to get the game, silly me thought that Sims 3 would be a continuation of the Sims 2 only better, and an open world. They said back then they heard us. 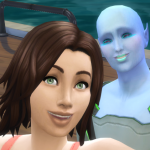 So again, I figured Sims 4 would give us a truly wonderful base game, the sims would return to being their awesome selves with their many layers, made more awesome with their new more advance emotions. And the game itself, with current technology would also include a smoother open world, better CASt, and more blended graphics, etc. But again, I have been let down. So can you understand why I'm giving EA the side eye right now? If they had listened to us from the start they never would have run out of valuable time work on the game, instead they wanted to make it an online game. Remember TSO? We did not want that to happen again. Yet they ignored us. So then they had to rush to meet their deadline and we got a bootleg version of a base game. YES! I would LOVE an improvement on the babies. Why did they have to turn them back into objects? That was a huge peeve of mine with S1, that and the fact that they turned into kids which never grew up. I love how in S2 the babies are so cute. I utilize that swing and baby mate. LOL And I love how in S3 your sim can sit and watch T.V. while holding the baby. In S4, I figured with multitasking they'd be able to hold, eat, talk on the phone, etc. with their babies. And no longer placing them on the ground! Could you just picture them walking around the hood in a stroller? 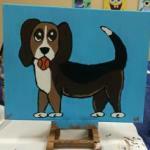 So cute, if done right! And more interactions between older kids and babies. Like they should be able to feed their siblings too, and maybe play with a rattle with them or something. I miss bathing babies (and toddlers) too! Yes I totally agree. I *thought* they were listening to the community while in development-we all know how much effort people in this community put into giving them ideas-especially with dlc. They should have used that to understand the fan base. @nanashi-sims I felt the same way too initially, but the further we go down the line the more nervous I get because we've heard about all these other patches to bring us to a finished base game, but still have no more info on family stuff. I also don't happen to believe the stable base thing-since having 4 I've had more bugs than I had in 3, and even had to reinstall after the pool patch because I got jumbled command code on pool tasks instead of the correct words. I totally agree with you on the baby stage too-multitasking has the opportunity to be fantastic with raising children from baby, toddler, child and teen and sadly so far it's missing out on how amazing it could be. EA listens to money, therefore consumers feedback really do not amount much to anything when they voice their constructive criticism but still keep buying. Thus further confirming the CEO of EA that no change needed in the way they do business because it works. Anyone who looks back at TS3 can see there was also some ignoring going on and what EA wanted to do, not so much what the consumers wanted. And I mean simple, basic, understandable things like even out the content for the lacking age groups. 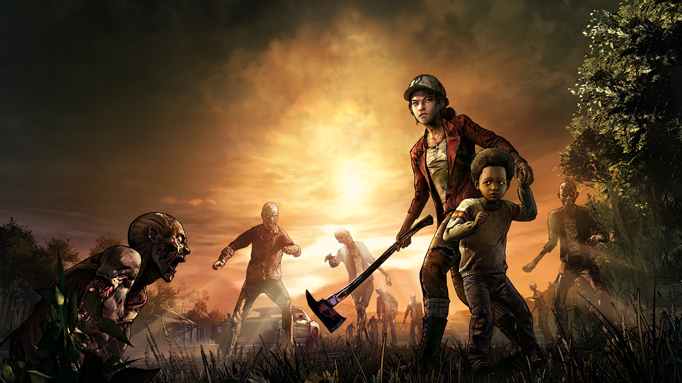 I don't care what past games had in terms of content, don't you think its been long overdue to step up your game for a so-called best selling PC game? No? Well no matter cause I'm a lost customer anyway, lol. Continue to wow the players you now target. Maybe they will provide the same profit you are looking for based on TS2/TS3 success and so much more. You all hope and hope but to me it's all false hope. Since when did EA prove they changed? And if it is true that the SG's say EA has nothing to do with their project of TS then it is whichever SG's in charge who made the decisions to do what they wanted and IGNORE the consumers let alone Sims tradition/progression/continuity. Some of you will still be sure to give The Sims Team a paycheck for a product you are not that much satisfied with just because you think TS4 has so much potential yet fail to be proven first before blindly buying based off of hope alone. Given everything TS3 brought, anything missing to me was forgivable but the poor coding/programming is unacceptable, inexcusable. How long it takes to fix something and sometimes not have some issues ever addressed was quite annoying. So no way would I move on for the same old, same old. 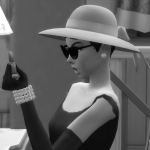 I am not interested in TS4 anyway so have no issues whatsoever stopping with TS3. Edit: And they don't even know who the plum they even are to each other! In an ideal world EA would actually listen and give us the game that we want to play. Will they, probably not. But I still have hope can't I? Will I continue to support the Sims 4 if what I, and many other players want are not included? No. Why keep feeding a machine that cares nothing about you and only spits in your face? I agree with everything you said. I really miss playing the sims like crazy (Especially the base games) they had so much to keep you entertained until the first EP. I rarely play now, and already ready for a EP/SP/DLC something. I really hope they add in a family tree, and that it incorporates sims that have already passed on. I'm into the second generation, but don't want to go into a third until there's a family tree. Making one on the web/other program or writing it down just isn't good enough for me. I don't think that will be possibly logically. There is no way for a program to link an unrelated item to another without linking all unrelated items to that. Unless there is a identifier already that indicates that there is a relation between sims, I really don't think your past generations before a family tree are going to be incorporated. 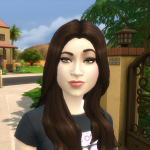 @GoldenBuffy True although all EP's/SP's almost all store content I bought because the base game had a really nice setup and I wanted to fill out as much gameplay/content as possible since I enjoy TS3 minus the bad coding/programming. While certain things I don't agree with such as the baby changing table. It should have been updated in a free patch than having to be bought at the store. The time it should be in store is for extra design choices. Basic things like that should be in base game like it's been since TS2. My personal experience is that TS4 already ruined what I loved about TS, the main reason why I don't care for TS4. I will gladly play TS/TS2 for nostalgia and have fun regardless of being limited compared to TS3. But those games were from 2000/2004. And to me a game released in 2014 should surpass all previous games within the same series. Like Assassin's Creed, Batman Arkham, even Mario Kart keeps the same formula but always adding a new fun twist to it. Like Double Dash, etc. I know what real good games are...they progress but at the same time don't change what made the game so popular in the first place. Features keep getting added and old features get improved for both a new but familiar gaming experience. TS3 changed as well coming from TS2/TS. So that game too is a bit different but mostly accepted because of the worthwhile features it did add. Although I would think most would love to have TS/TS2/TS3 combined, improved plus new features never done before. I thought that's how TS4 was going to be but they stripped it down so much I don't even consider TS4 a Sims game. Just a wannabe with the same title and the number 4...well how is that? Because One, Two and Three come before Four. Am I the only who has noticed that when they tend to be particularly silent on a subject it turns out it's one they are working on? My guess is there will eventually be huge improvements to family play and that toddlers will indeed be added.